The Walter Muir Whitehill Prize in Early American History will be awarded annually, at the judges’ discretion, for a distinguished essay in early American history, with preference being given to New England subjects. The prize award is two thousand five hundred dollars. All essays submitted for a particular calendar year must be postmarked by 31 December. 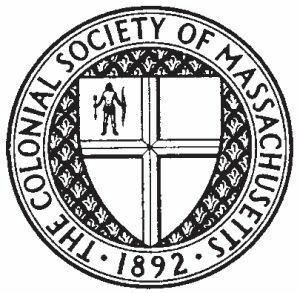 In the past, the Colonial Society of Massachusetts has published works that include material as late as 1820. Therefore, the Council has voted that the term “early American” should be extended to 1826, the year in which both John Adams and Thomas Jefferson died. While the Council stands by this cut-off date, we hope that essays dealing with nineteenth-century material will concern themselves with subjects that have their roots in the past, that look backward rather than forward. Essays should, as a guideline, range between 40 and 60 double-spaced typewritten pages. Please double space text and notes. Notes should take the form of footnotes, not endnotes. Authors should follow the Chicago Manual of Style, 15th or 16th edition. Submissions will be read blind, so your name should only appear on a detachable cover sheet and nowhere else on your essay. Submit four hard copies of your essay to the NEQ business office. Please included hard copies of any illustrations. Submit a Word document and a PDF of your essay electronically to neq@umb.edu. Electronic essays should be in the same format as the hard copies. Originality. We expect the essays to represent an original contribution to the understanding of early American history. The originality can be achieved either in the presentation of new materials or in a fresh interpretation of familiar materials. Scholarship. We expect the essays to be scholarly—to demonstrate competence in the use of original sources and in the interpretation of them. Composition. We expect the essays to be well written—logically organized and felicitously expressed. The Society expects to publish the winning essay each year. We expect the author of the manuscript to be willing to grant us copyright for the publication.